Henry is almost a year old!!!! We have big plans for his special day. Thankfully both he and Stephanie are feeling much better and I was fortunate enough to never get sick in the first place. Also, I have recently taken a job with Golden Helix here in Bozeman. We are all super excited that such a great opportunity came up for me and that it is in Bozeman to boot. I start Monday and will still be going to school as well. 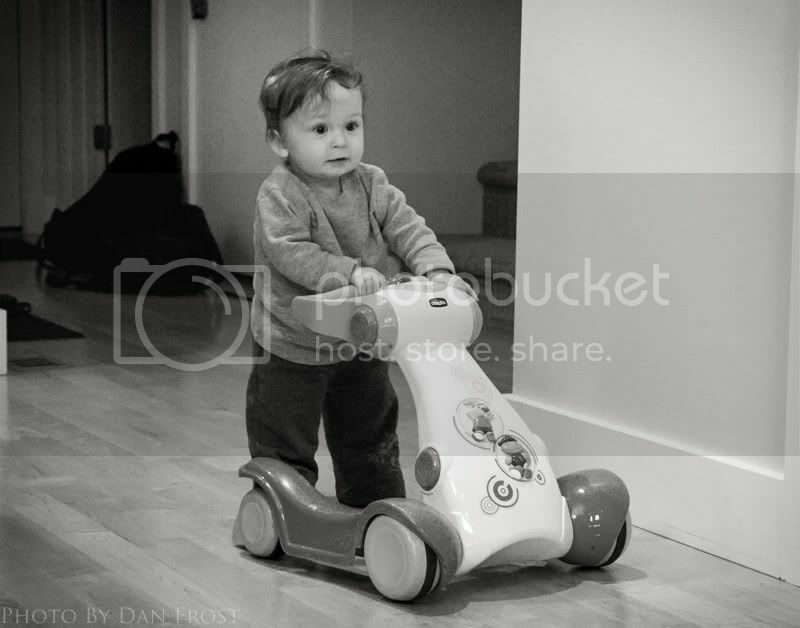 Here is a pic of the champ pushing around his little walker. Its really neat to look back through the pictures and completely see how Henry has grown and learned new things. He looks like he;s able to wander and play with stuff by himself now! Angel came over while I was looking last week and begged me to scroll through all the archives haha. Those eyes are so beautiful. Henry is growing up to be quite the handsome boy. His auntie and cousins miss him tons!